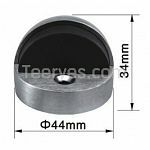 Material: Zinc alloy&Rubber;With installing screws. 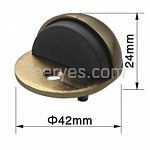 Doors without door stoppers can cause a great deal of damage to a wall. This holds true regardless of the age or thickness of the door. 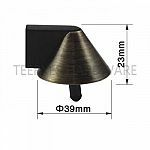 Door stoppers are commonly seen in both homes and businesses. A zinc alloy door stopper is a highly effective tool for keeping cold air outside and warm air inside a room. 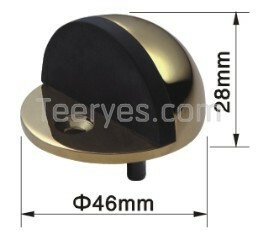 2, Material: Zinc alloy&Rubber;With installing screws.